Note: While this review will be spoiler free it will reference the previous book. If you haven’t started this series yet, check out VBC’s review of book 1, This Mortal Coil. The Hydra virus is gone, and Cat is on the run, trying to recover physically, emotionally, and mentally from the revelations about her life. Along with her companions, they are trying to track down Lachlan and stop him from carrying out his plan to change the world in an image only he believes good. But Cat is feeling overwhelmed. The panel doesn’t work for her, she keeps seeing ghost images, and her feelings for Cole are a distraction. 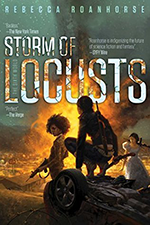 When they realize that the Hydra virus has possibly NOT been eradicated, the group ends up tracking Lachlan to a genehacker city that may have more answers that Cat is really ready for. I loved This Mortal Coil. It was a sleeper hit for me last year, and I named it one of my Top 5 novels for the year. 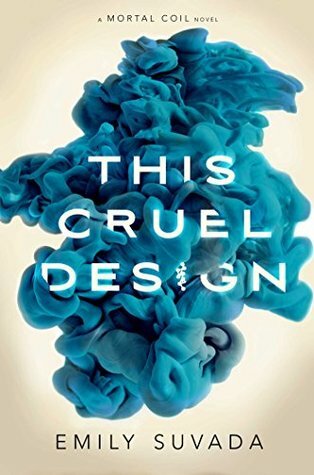 So I have been scrambling to get my hands on an arc for This Cruel Design, hoping that book two is as good as book one was. And if you follow me on Twitter, you know what happened—I live tweeted gifs while reading the book because I couldn’t contain my excitement, and the answer is YES! The book pretty much starts off with a bang and just Does. Not. Quit. Questions are answered, new ones are asked, loyalties are tested, and the ending will leave you gaping like a fish out of water and screaming internally. Possibly externally as well. I won’t judge. It’s set in the same world, same time as This Mortal Coil, though the world itself is less of a factor within the story than the characters and the technology. For those unfamiliar, it’s our world but post-apocalyptic, where most people have electronic panels in their arms. Those panels allow people to literally change their genes, to grow tails or change their eye color, or just about anything else. But then came the Hydra virus, causing people infected to literally explode…which was also how the virus spread. Now, many people are locked up in shelters run by a corporation–one led by someone pretty much ok with wiping out anyone NOT living in one of their shelters. Cat just keeps getting better as a character, and Suvada introduces us to a few new ones here. From the leader of the genehacker city, to someone working with Cartaxas (the corporation), to others who were locked up and experimented on with Cat. What’s intriguing to me is that, in this world, there are truly very few people who can say they are “good” or “evil.” They are HUMAN, with their motivations that lead them to certain paths that they have a choice to take—or not. Even with the best of intentions, some of those paths are definitively the wrong ones. Yet Suvada never takes the easy path or making her characters one dimensional to further the story. Instead, they are more…understandable, if not necessarily likeable, when you know the why behind their choices. As for the story itself, as I said above: It’s a ride. This Cruel Design is pure jet-fueled adrenaline, and it doesn’t stop until the end. There is no sophomore slump here, just an excellent story that—dare I say—is even better than the first book. Suvada knows her science, and yet she is also able to make that science something we readers can follow. Genes, DNA, coding…it’s all in here, and futuristic, and yet—maybe not so far away. I will also say this, you will not be able to read this book as a stand-alone and understand what is happening. This is truly a sequel, and book number one is a must to have any chance of following the story and making sense out of the details. Particularly in light of some of the questions that get answered regarding Cat’s past. To be obnoxious and punny (HA! ), this book is explosive. 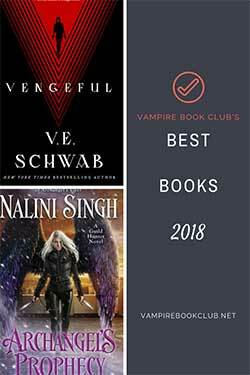 I feel pretty safe stating it will join its older sibling as a Top 5 for me, and I will be anxiously awaiting book three. Because I need to know WHY?! WHY DID THIS HAPPEN AND CAN IT BE FIXED? !